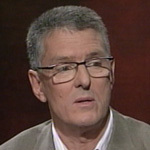 Sometime author and LAME commentator David Marr has been giving a great deal of publicity to and favourable commentary about an unauthorised biography of another LAME commentator, one Alan Jones. The biography in question was written by yet another LAME commentator by the name of Chris Masters. Masters makes a great deal of the alleged homosexuality of Jones. Marr agrees with Masters' castigation of Jones. The alleged homosexuality of Jones is alleged to have led to grievous character flaws in Jones. As far as I can tell, the character flaws manifest themselves in Jones' political outlook (with which Marr and Masters disagree). So far so good, it just looks like a straightforward case of homophobia. Gross, gratuitous and nasty, but commonplace nevertheless. But here's the kicker. Marr is a homosexual who wrote a biography about another homosexual (author Patrick White). Marr has also leapt to the defence of other homosexuals who have been "outed" in the past. Hmm... it seems that Marr wishes to make a case that some homosexuals warrant our sympathy, and others don't. 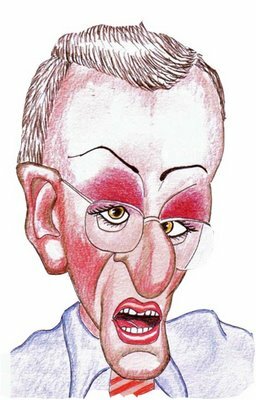 I agree with him in a sense - after this witch-hunt I have sympathy for one homosexual - Jones, and no sympathy for another - Marr. Incidentally, spot the pun in the title... and the rug on Marr's head (which seems to have increased in area since I did this caricature).